As with other models in the Mercedes-Benz lineup, the C-Class comes in a variety of body styles ? saloon, estate, coupé and cabriolet. Whether you're in the market for some wind-in-your-hair action or you want a vehicle that offers the exclusivity and refinement of an executive saloon, the C-Class is able to deliver. You'll find all of the latest used Mercedes-Benz C-Class models for sale in Tredegar listed here on the website, alongside our vast range of quality used cars from other marques. 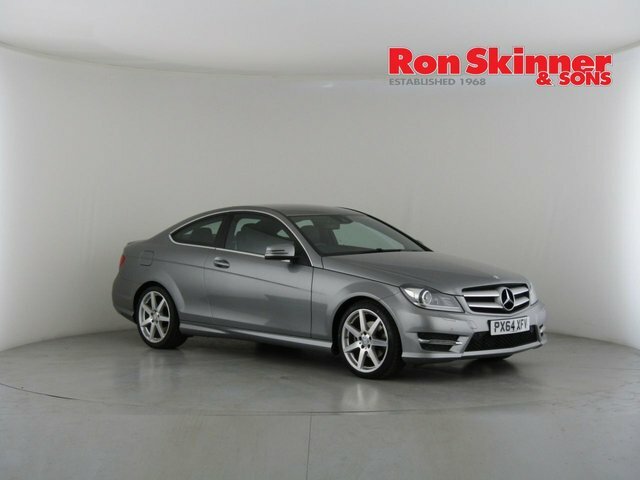 Browse our latest stock and be sure to contact a member of the team at Ron Skinner & Sons when you're ready to arrange a test drive in the model of your choice. Finance is available to UK residents aged 18 years or older, subject to status. Terms & Conditions apply. Indemnities may be required. Other finance offers may be available but cannot be used in conjunction with this offer. We work with a number of carefully selected credit providers who may be able to offer you finance for your purchase, commission may be received. We are only able to offer finance products from these providers. Postal Address: Ron Skinner & Sons, Tafarnaubach Industrial Estate, Tredegar, Gwent, South Wales NP22 3AA. Find contact details here. Ron Skinner & Sons Ltd is an appointed representative of Auto Protect (MBI) Limited which is authorised and regulated by the Financial Conduct Authority (their registration number is 312413) and which is permitted to advise on and arrange general insurance contracts. Ron Skinner & Sons Ltd is authorised and regulated by the Financial Conduct Authority for consumer credit activity and our registration number is 677972. All finance is subject to status and income. Written Quotation on request. We act as a credit broker not a lender. We work with a number of carefully selected credit providers who may be able to offer you finance for your purchase. We are only able to offer finance products from these providers.